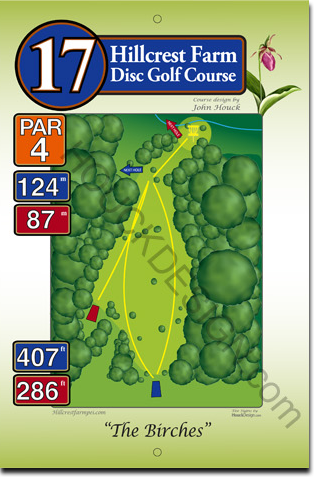 Gently downhill all the way to Smelt Brook, this par 4, 124 metre hole is wide and friendly. Nature’s skyscrapers surround this fairway. A big white birch tree and many other white and yellow birches are near the tee area; nearer the hole, tall old spruces seem to touch the sky. Float your disc down to the basket tucked away at the bottom right.